Have you been one of the lucky couples to tie the knot this summer? 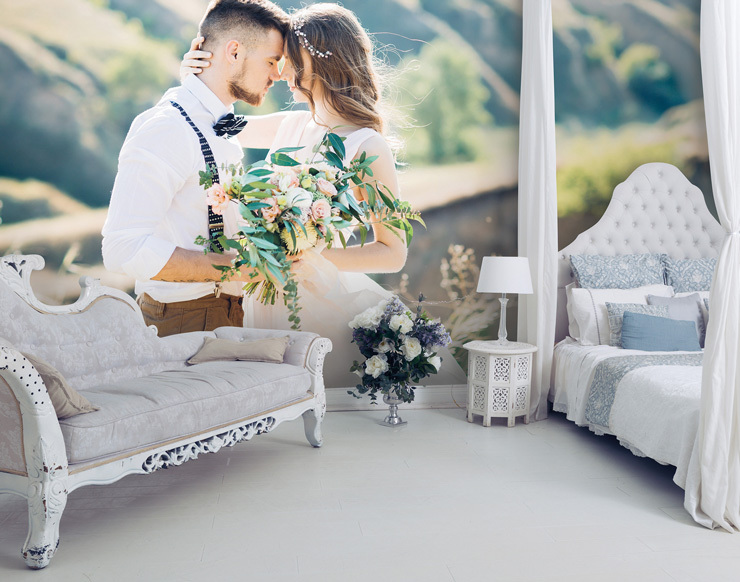 Capture those precious moments from your wedding and let your special day live on by turning your photos into bespoke wallpaper. 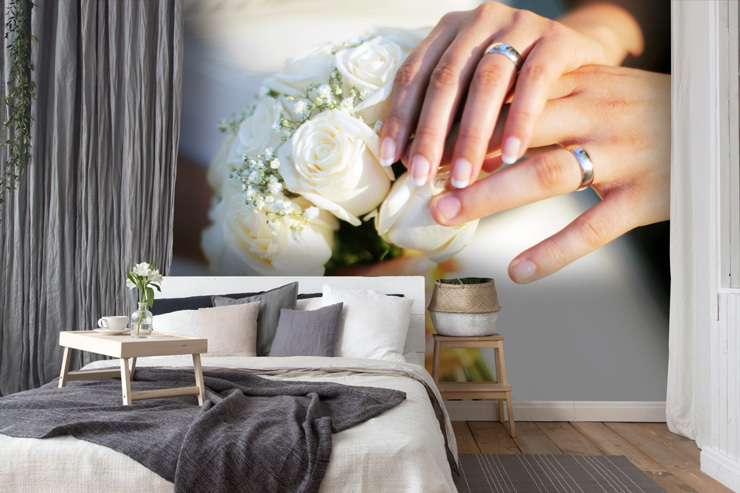 Whether your favourite photo from your wedding day is your beautiful bridal bouquet or a heartwarming snap of your wedding bands, adorn your interior walls with special memories. In this special wedding blog post, we’ll be showing you how to create your very own bespoke wallpaper. Expect tips on choosing the right photo for your wallpaper along with customer creations. Along with 1000s of images for you to choose, Wallsauce.com also host a ‘use your own image’ feature. In three simple steps, turn your favourite photos and artwork into completely bespoke wallpaper. Simply upload your preferred wedding photo, enter your wall’s dimensions before checking out. Worried about the quality of your photo? Don’t be! We have an image quality checker that will advise you there and then. If that doesn’t convince you, just enquire and expect a response in 24 hours. It really is simple! Just like your big day, covering an entire wall with bespoke wallpaper is a commitment (maybe a slight exaggeration)! If you're struggling to decide on which wall you should cover, or which photo would look right, then we have a team of in-house designers to advise you. 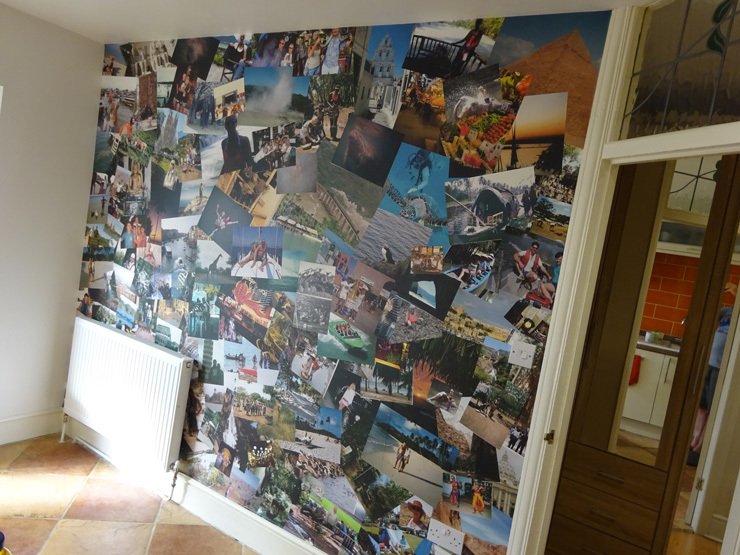 If you really can’t decide on the right photo and have too many favourites, then our designers can also work with you create your own montage wallpaper. Here’s a great example of their work that one of our customers' sent in. With our ‘excellent’ customer ratings, you can be sure to trust Wallsauce.com. If we feel that your photo will turn out pixelated or if there are any other quality issues, we will let you know. Upload your own image today and create your very own bespoke wallpaper. We’re positive you’ll be very happy and your wedding memories will live on!